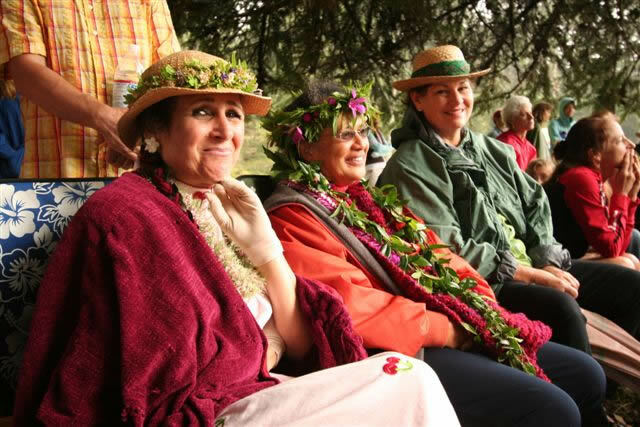 As they do each October, members of Ka `Imi Na`auao o Hawai`I Nei assembled in Kanaloahuluhulu Meadow to honor Queen Emma at the annual Eo E Emalani i Alaka`i Festival. Even those who have participated in this event many times find it exciting. 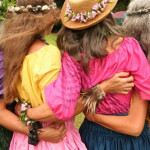 Each year’s festival has its own distinct character, and the 2006 celebration was no exception. 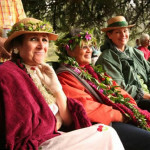 Several members spent a foggy and soggy Friday night cocooned in Pu`uhinahina cabin. Among them were Roselle and Jim Bailey, newly returned from Roselle’s autumn session with the European students. 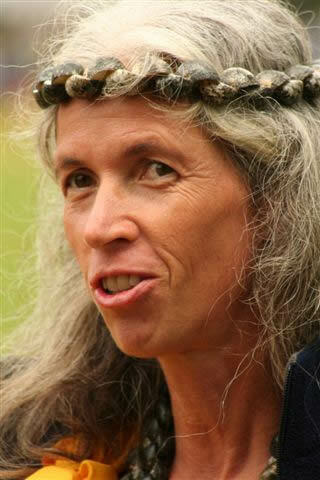 Others, including Birgitta, Sherrie, Tebo, Louise, Savitri, and Shoshanna, trekked up the mountain early Saturday. The scene certainly needed some brightening, for soon after the Queen arrived the sun, which had been trying to claw its way through cloud and mist, threw up its hands and surrendered. 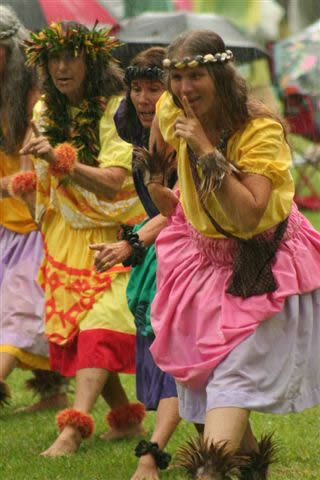 By the time Ka `Imi members began their second dance, rain was sheeting down. As ever, our performers rose to the occasion, thoroughly enjoying getting a heavy heavenly blessing. 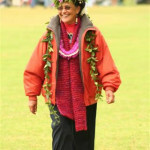 Several echoed Keahi`s statement that it was one of their happiest hula moments ever. The audience responded with whoops, cheers, and a standing ovation. 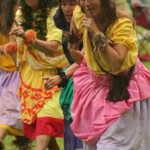 For those who spent Saturday night in Pu`uhinahina, there were more thrills yet to come. At about 7:00 a.m. cabin windows shook, and, except for Jim who slept through it, the earthquake centered off Kawaihae on Hawai`i Island rattled everyone awake. Once people realized what had occurred, thanks in large part to the alert DJ on KKCR radio, and called round to check on friends and family, land and life settled back into its normal tempo. The seismic jolt gave us a good reminder of nature’s power, something that we hope those who would tamper with Koke’e will bear in mind. Photos by Tim DeLavega, click on the images for an expanded view. 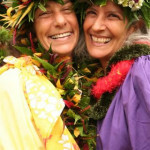 Below is the text which was printed in the 2006 Eo E Emalani i Alaka`i program. 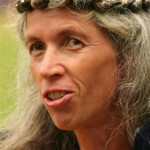 It explains ka `Imi’s performance. We think that even those who did not attend the festival will enjoy reading it. 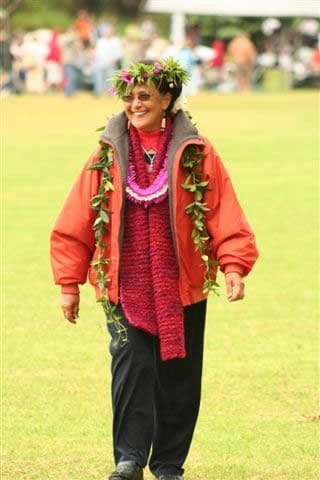 `Ano `ai i ka mo`i wahine Emalani a me na mea apau! 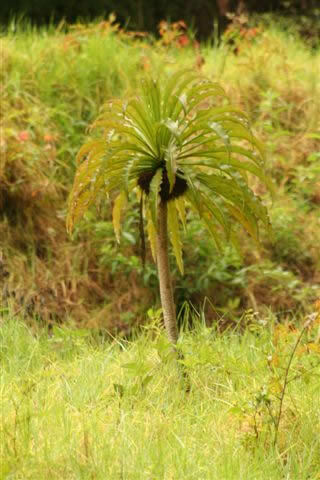 Aloha tatou. 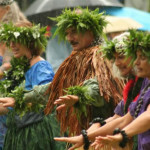 In this year when the preservation of Koke’e has become a significant public concern, Kahiko Ha Lapa I Hula Alapai presents mele and hula about the importance of conservation and the many forms it can assume. We begin with an oli greeting those who were here before us and who have made it possible for us to be here today. 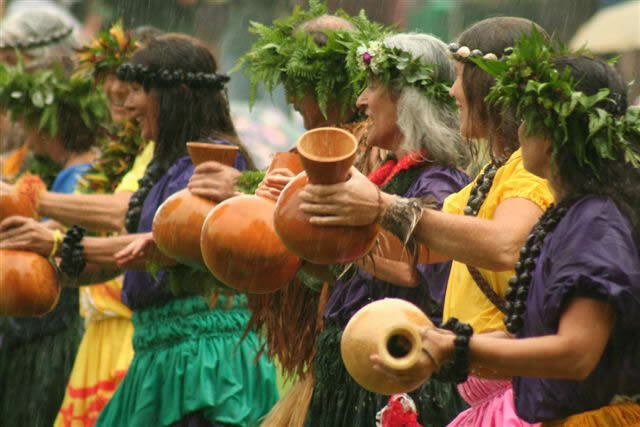 We follow with Kuhikuhi ke Aloha La i ka Lehua, a hula noho composed by our founder Roselle Bailey in honor of her ancestors and her birthplace near Lahaina. 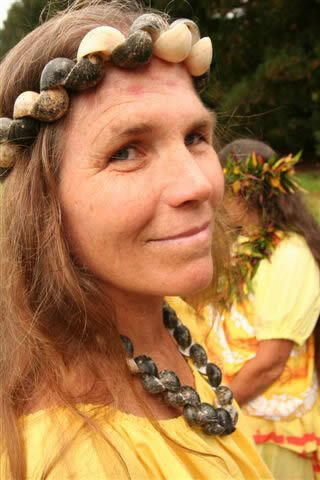 This mele urges us all to recall and revere the light of knowledge we have inherited, the people who have passed it to us, and those to whom we shall give it in our turn. 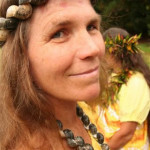 As the rising sun’s beams flow downward from Pu`u Kukui, wisdom streams down from past to present. Each generation’s job is to preserve and propagate that knowledge through time and space. 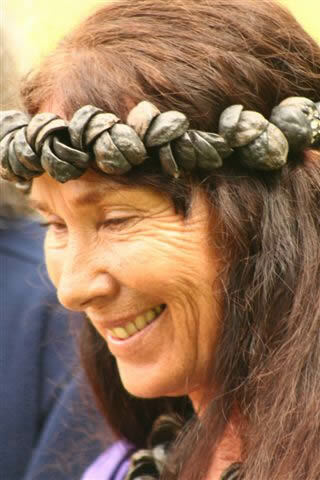 A story about Maui`s other great mountain, Hale a ka La, tells how the humble kupe`e (nerita polita) snails helped Maui the hero in his quest to aid mankind by forcing the capricious sun to run an orderly course. 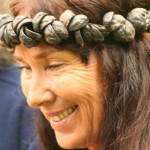 Keahi Manea composed Mele Kupe`e to describe the process of gathering these marine shells, which Hawaiians use for both food and adornment. 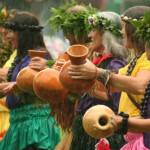 Very much a twenty-first century hula, this mele records the habits of both kupe`e and their collectors. It also contains a warning to protect the little snails and their coastal home so that they will continue to delight future generations. Kupe`e are neither as imposing as whales nor as photogenic as monk seals, but they are no less deserving of aloha! 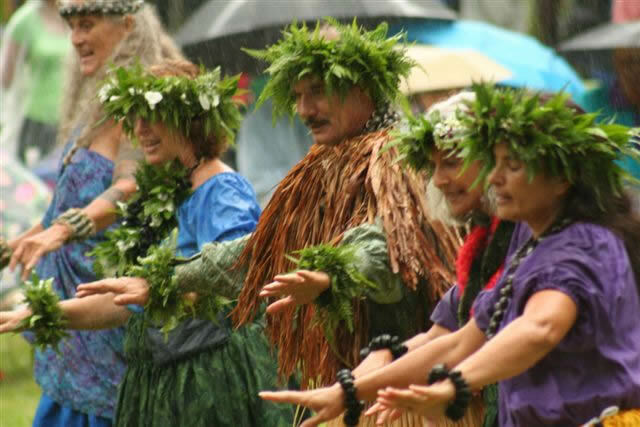 We conclude with a hula ipu choreographed to one of the oli composed in 1871 to commemorate Queen Emma’s adventure. 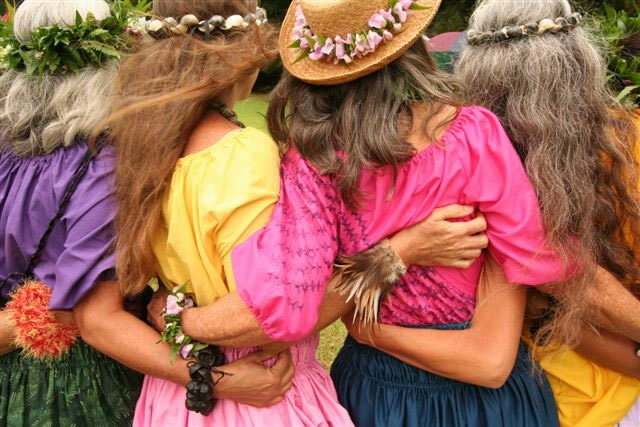 In the drumming of our fingers on the ipu you can hear the hooves of her party’s horses as they climb the mountain trails, the gurgle of Waineke stream, and the patter of raindrops on Alaka`i. 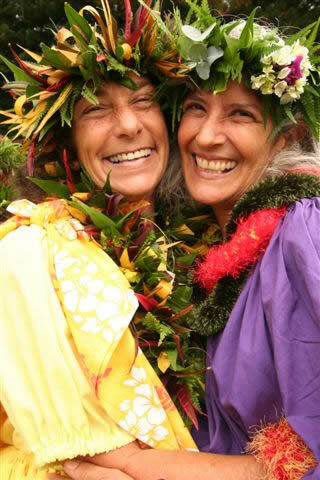 In this mele, we honor Emma’s brave spirit, and the place that challenged it. May that place continue to challenge us all to surmount mental and physical obstacles! Finally, we shall exit to the strains of Dennis Kamahaki`s anthem to Koke`e, singing the hope that we shall not be saying good-bye evermore to the beauty of this place. 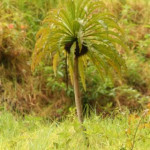 E ola mau ka nani o Koke`e! !